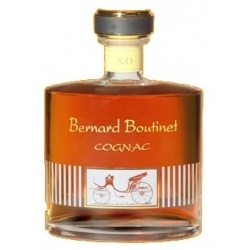 Winegrowers and distillers for more than 150 years - this could well be Boutinet family motto. 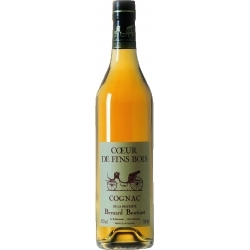 Their vineyards cover 27 hectares (68 acres) of the Cognac-producing area known as Fins Bois, which is renowned for its ability to produce young eaux-de-vie of very high quality. Through the generations, vines have been planted on the best land of the property, with its deep but light soil. The Ugni Blanc and Colombard grapes succeed in providing well-balanced wines made in the estate winery with all the care, knowledge and tradition of Bernard Boutinet and his son, Pierre. Juice from the Colombard grapes, sweeter and less acid, is blended with Cognac in the making of our white Pineau des Charentes. 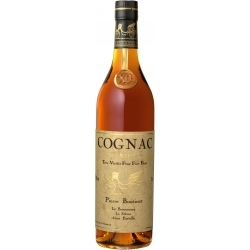 Merlot and Cabernet Sauvignon, also grown here, are the basis, with Cognac, of our rosé Pineau des Charentes. 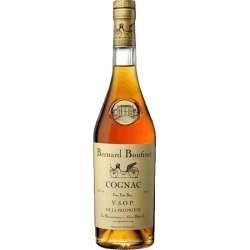 Although the vineyards have been at le Brissonneau for nearly two hundred years, and the art of distilling has been passed down through four generations, it was only twenty years ago that Bernard Boutinet added a new dimension by producing Cognac and Pineau des Charentes under his own name. Both bottling and marketing are also carried out on the estate - truly a family affair. 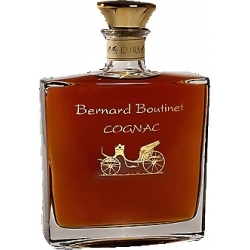 For his labels, Bernard Boutinet chose the image of a carriage, La Calèche, for both Cognac and Pineau. 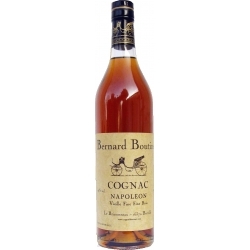 This choice seems to echo the Charentes region - mysterious and secret behind the high walls of the estates, the pride in its rich history - so his labels are plain, discreet, but elegant.